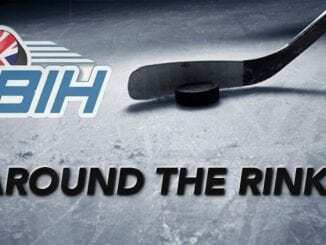 Belfast Giants and Cardiff Devils will go head to head for the 2019 Elite League play-off title after getting past their respective opponents, Guildford Flames and Nottingham Panthers, in contrasting fashion. Giants needed to dig deep to turn around a one-goal deficit going into the final stages of the first of the two semi finals at the Motorpoint Arena as Flames led by a solitary goal to nil, coming courtesy of Ian Watters, who sent a high shot into the net from a John Dunbar pass. 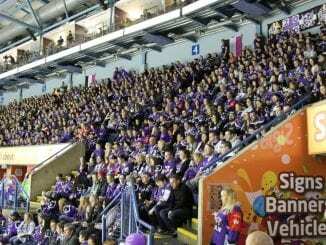 With their Grand Slam at stake going into the final ten minutes of the game, Belfast showed why they were in the position for a clean sweep of honours this season when they managed to turn the game around. Some great work from Chris Higgins behind the net saw him lay the puck for Jonathan Ferland, who shovelled the puck into the net past Flames goalie Travis Fullerton and the game was tied at one. 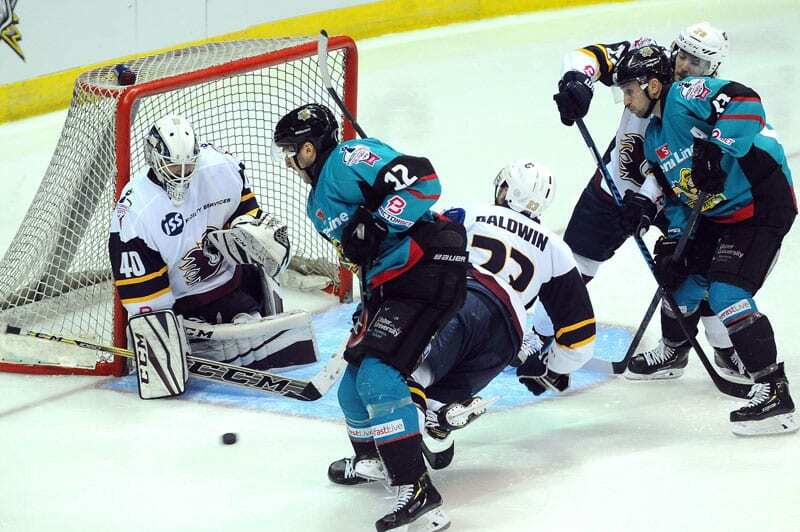 With five to go, Adam Keefe’s side got the edge as Kyle Baun’s shot from the centre was rebounded to the right, where Patrick Dwyer was there to tuck into the net and it proved enough as Guildford couldn’t force another, leaving Belfast as winners of a 2-1 contest. 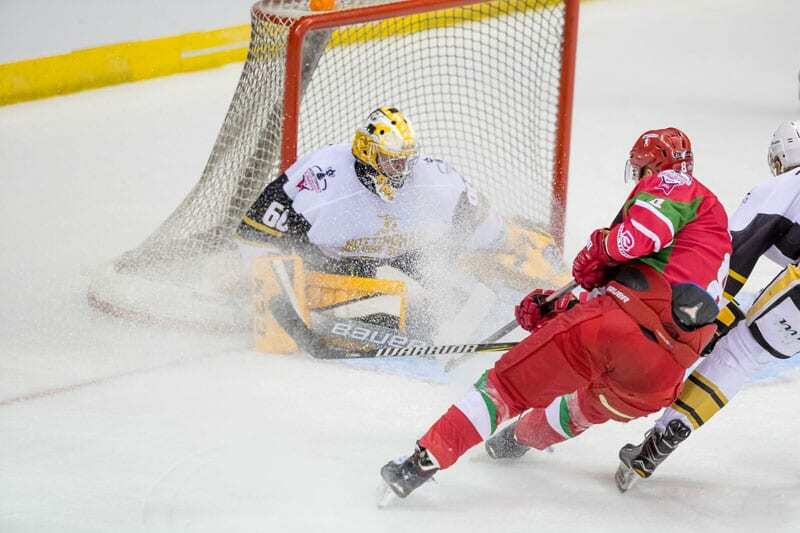 Cardiff Devils are in tomorrow’s showpiece with them after making easy work of Nottingham Panthers, dismantling them in a 9-4 rout, with Charles Linglet firing four into the net. While Panthers were shorthanded, made worse by Tommy Hughes’ early exit from the game through injury, Devils took the advantage and were four up without reply inside the first period. Evan Mosey, two from Linglet and one from Mark Richardson put Andrew Lord’s men in a commanding position. Panthers nabbed two back through Alex Guptill and Mark Hurtubise, but Cardiff regained control in a flurry of goals in the second period, bringing seven strikes of the 13. Bryce Reddick and Stephen Dixon restored the four-goal lead and although Josh Tetlow picked up a third for Nottingham, Linglet completed his hat-trick then Reddick with his second put them 8-3 up. 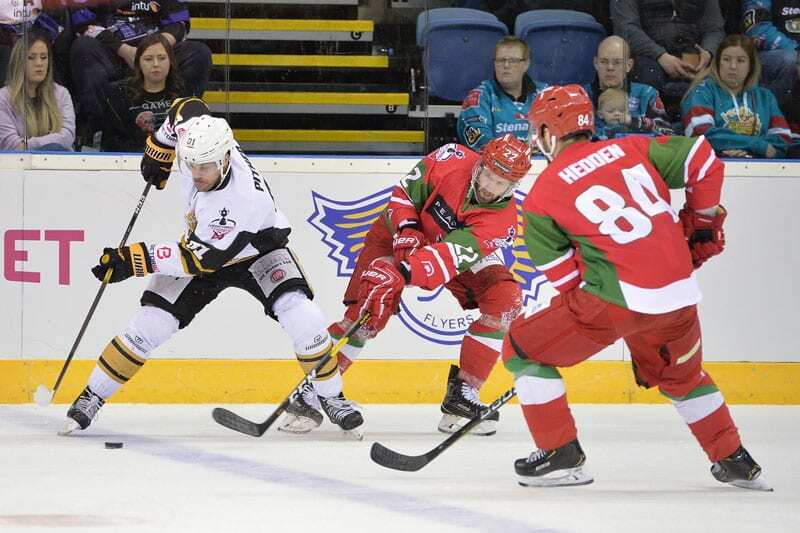 Linglet got his fourth of the game with Jaynen Rissling adding one more for the Panthers, but Devils place in their third straight play-off final had long been confirmed.